.Mrs. Mody Lamb Murphy 92 of 12281 Old Mintz Hwy. 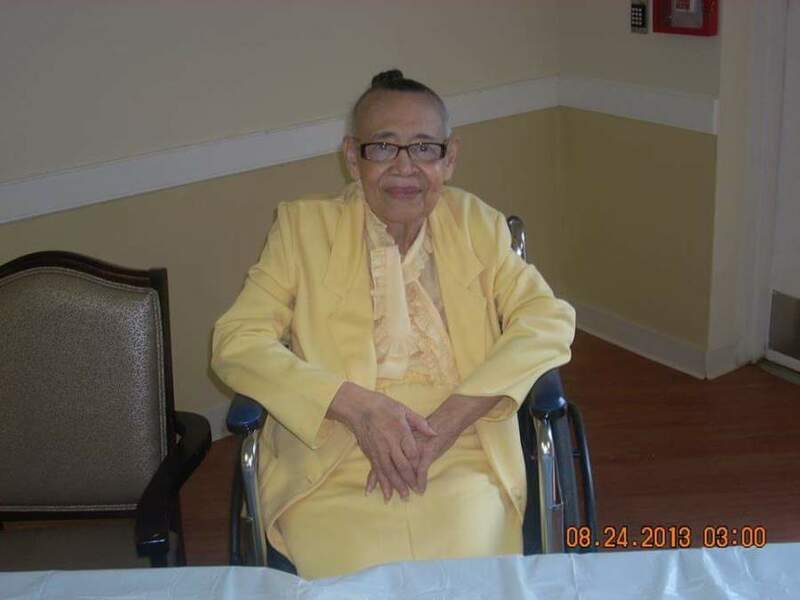 Garland, NC died Thursday, March 28, 2019 at Southwood Nursing Center in Clinton, NC. Mrs. Murphy was born August 28, 1926 in Sampson Co. the daughter of the late Neal Samuel Lamb and Mary Lillie Herring Lamb. She was preceded in death by her husband, John D. Murphy. Funeral service will be held at 11:00 A.M. Wednesday, April 03, 2019 at Garland First Baptist Church by Dr. Louis Hackett. Burial will follow in the Garland Community Cemetery. Mrs. Murphy is survived by two daughter, Sharon McCalop (Charlie) of Garland, Benita Murphy of Garland, one sister, Mary Lois Smith of Clinton, Step-daughter, Brenda Cromartie (Willie) of Clinton, 3 grandsons, Shaan McCalop (Taba) of Greensboro, Kenyatta McCalop of Greensboro, Christopher McCalop of Thomasville, 6 great-great-grandchildren, William McCalop, Alexander McCalop, Saniya McCalop, Kristal McCalop, Kristian McCalop, Kamryn McCalop, and a host of nieces and nephews. The public will be received on Tuesday, April 01, 2019 from 1:00P.M.-6:00P.M. at Carter Funeral Home and other times at the home of Brenda Cromartie 1900 Sunset Rd., Clinton, NC. Service by Carter Funeral Home in Garland.